This is a sponsored post by Minc, however I only share products I truly love. All opinions are my own. I just love the start of spring and summer! I love the colors it brings into our homes and in our gardens. 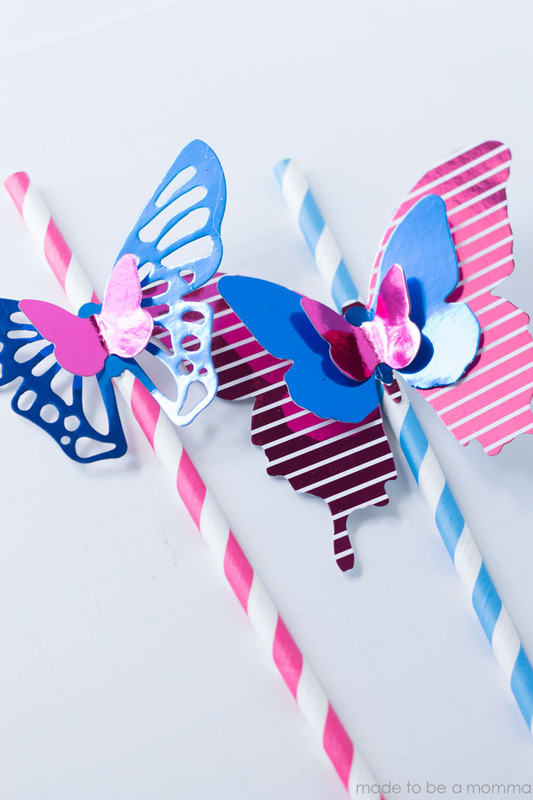 I was playing around with my Minc machine again and came up with these adorable butterfly straw toppers that are perfect for the season. These would be great for a bridal shower, garden party and more! They were so easy to make and add such a fun pop of color to paper straws. 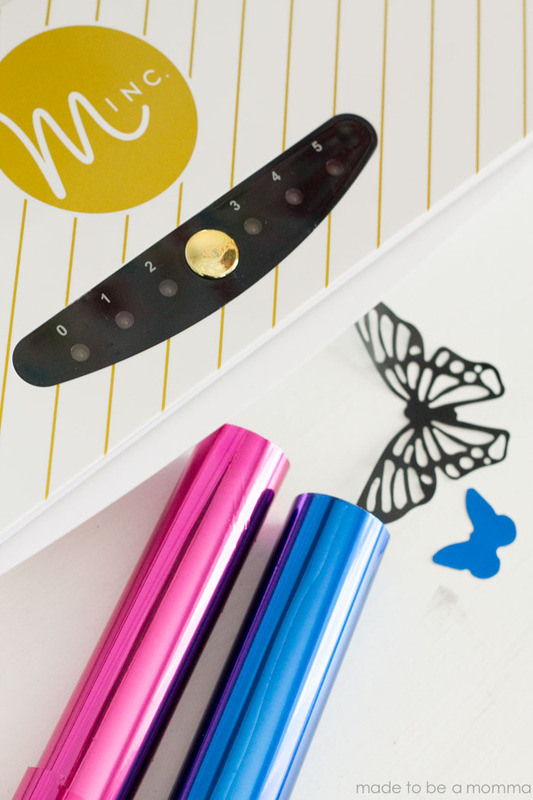 You can find the Minc machine and all the fun embellishments that go with it, like these butterflies I used, at Jo-Ann, Hobby Lobby, and other local and online shops. I love how simple and consistent the Minc machine is compared to other ways you can foil projects. The colors of the foil are so bright and I just love peeling back the foil to see just how pretty each project looks! 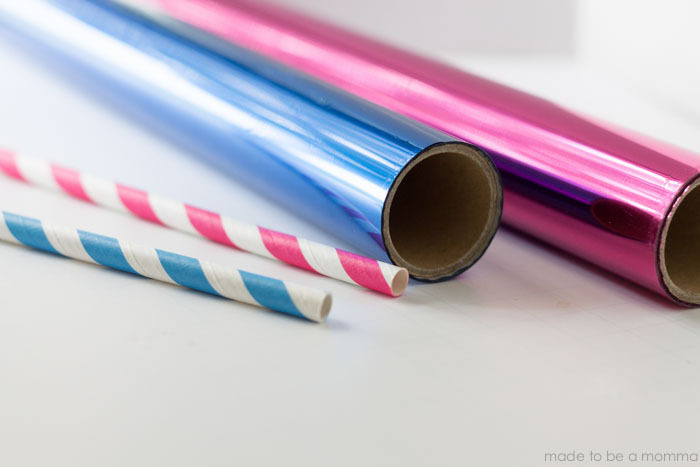 For this project I used pink and blue straws with matching foil and alternated what color I would use on what straw. 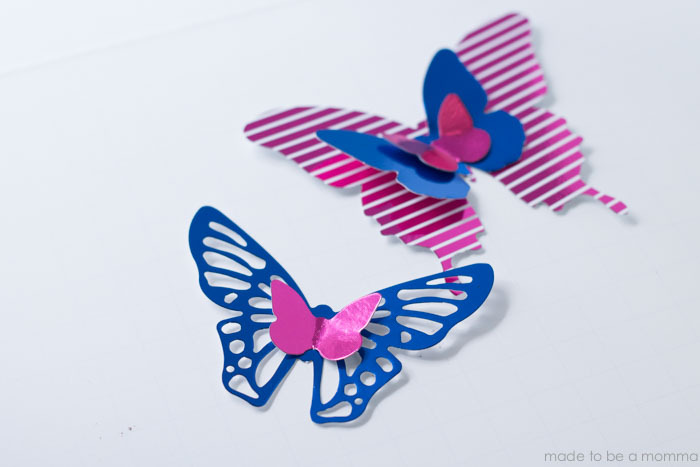 I put the foil and the butterflies through my Minc machine and assembled the butterflies how I wanted them to look. I love that the butterfly kit came with different types of butterflies and sizes so you could mix and match. I simply hot glued each piece on top of each other. You could also use Elmers glue or even tape. 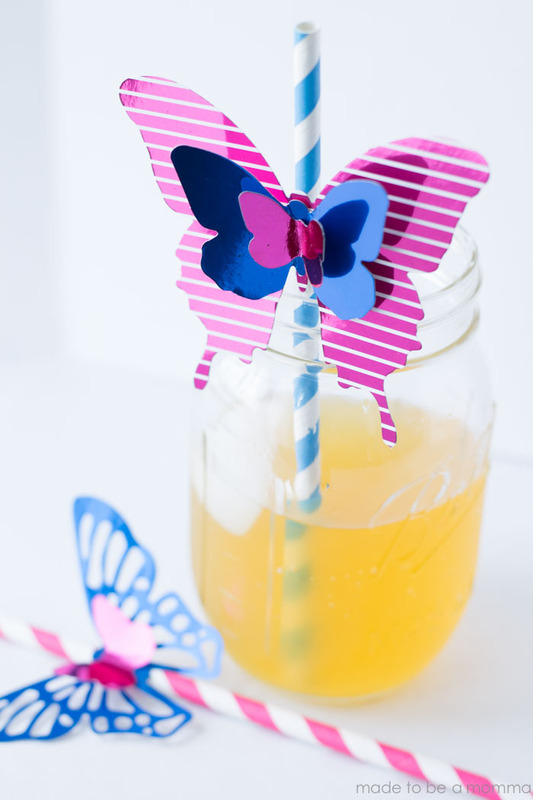 I then attached my butterflies to my straws with a tiny dot of hot glue. 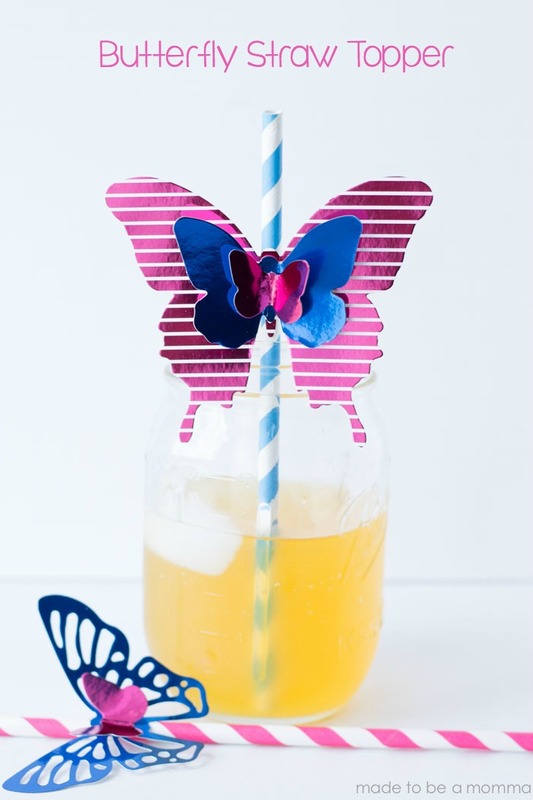 Now, go impress your girl friends with these beautiful butterfly straw toppers that are sure to add some pop of color to any gathering! So easy to make it. I think my daughter will love it. Thanks for your ideas!